It’s the most successful racing car made by Porsche. The Porsche 962 has dominated the 24 Hours of Le Mans, the 24 Hours of Daytona, the World Sportscar Championship, the IMSA GT Championship, and much more. Many thought that a car that performed so well on the track, would be the ideal supercar for the road. A number of Porsche 962s were converted for road use, examples are the Dauer 962, theSchuppan 962CR, and the Switec-Porsche 962C. 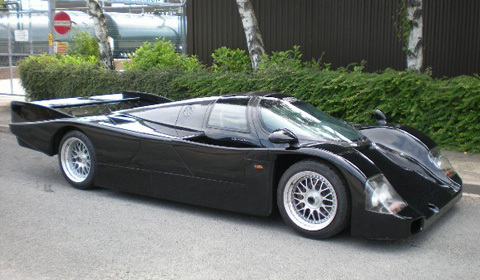 Perhaps even more remarkable is the street-legal Porsche 962C which is being used as an everyday car in Japan. But now there is another opportunity to experience the successful and relatively practical supercar yourself. A street-legal Porsche 962 is being offered for sale in the United Kingdom.